Wrong! Nearly 60% of US adults are tracking their exercise routine, weight or diet on some sort of electronic device, whether it’s an iWatch, Fitbit, or cellphone. All this data created and collected by patients is called Patient Generated Health Data, or PGHD, and the health care industry is starting to realize the value in having so many continuous health related data points available for each person. PGHD can go far beyond simply collecting and recording your 10,000 steps a day. You could generate and record the data point that might save your life. 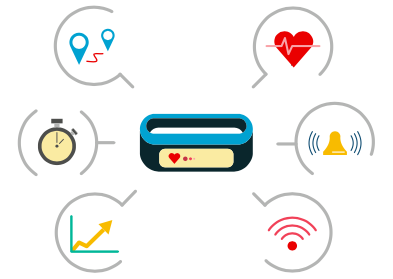 When thinking of this health data past simply counting steps, the possibilities are endless. For example, if you take your blood pressure every day and record that data into a health app, you could be fairly certain when using a reliable device that the average of the measurements is your true blood pressure measurement. Now think about when you go to the doctor and your heart is beating fast because you are nervous as they wrap the blood pressure sleeve around your arm. This measurement might be higher than the times you measure at home. This inflated measurement could affect what and how much you are prescribed and the care you receive. The amazing part is, the majority of Americans are already collecting some sort of patient health data. And this means they can give a more holistic view of their health to their providers to make more informed care decisions, and all they might have to do is wear a watch or band on their wrist. Patient generated health data allows all patients to be more involved with their health care, especially for those with chronic conditions. If a diabetic has a device that continuously records his or her glucose level throughout the day and night, irregularities and patterns can be more easily identified and addressed by health care providers when reviewing all the data points versus just a few points a day. A study conducted at Stanford in April of 2016 explored this impact. They recorded patient generated health data from a continuous glucose monitor which they streamed into their EHR. They found an association of better care for patients between scheduled clinic visits due to automated alerts when irregularities in the data were detected and communicated to the providers. In order to record PGHD and have health care providers be able to access it, we must have software that is accessible for all to use and collect health data that can be easily accessible to providers. pMD is building mobile software beyond charge capture; we’re building a HIPAA-compliant secure messaging app for patients and providers, which can be used for communication between patients and providers if irregularities are detected in streamed PGHD. The possibilities within PGHD are nearly endless; whether it's simply motivating someone to get moving, or saving someone's life by an automated alert in a critical change in a person's health before physiological changes occur. So go out there, get your 10,000 steps and collect some data that can help you be more involved in your health care!